Starting off at the very beginning, this revised guide will walk you through everything you need to know about Photoshop. From Elements to CS5, you'll learn what the tools are, how to use them, how to get started with your projects and the best ways to edit your images. This revised edition includes Elements 10, and features brand new tutorials to help you get creative. Includes: Getting started - Find your way around the Photoshop interface and discover what's new in Elements 10. Basic corrections - Easy-to-follow tutorials to master the simplest image-editing techniques. Retouching - Touch up those imperfections to make your images flawless. Quick fix - Enhance your photos in no time at all. 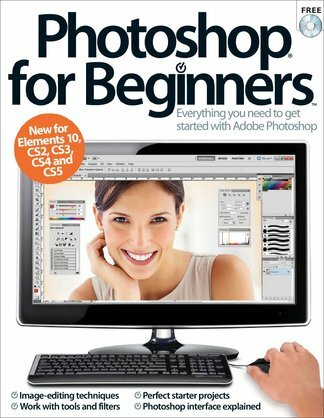 Be the first person to tell us what you think about Photoshop for Beginners Revised Edition and you'll save $5 on your next purchase!